Want to build your author brand as a recognized expert? Listen as former NBC news anchor, Darieth Chisolm shares how to increase your visibility, and use in-person workshops to build an author platform. 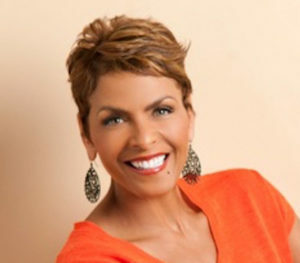 Darieth Chisolm is an award-winning television personality, former NBC News anchor, entrepreneur, author, speaker, and business coach. As a highly sought after visibility and media strategist, Darieth coaches people to become confident and outrageously successful, conveying their brand, message, and mission to the world through various online media platforms. Darieth has mastered a breakthrough formula on how to be visible in a crowded field of competitors and choose the best online and offline marketing strategies that will ultimately help jump start the cash flow for any business. 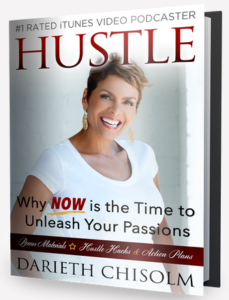 Three years ago, Darieth quit her successful, high-paying, 20-year TV news anchor career to spend more time with her son and be her own boss. Since that time, she’s launched an award-winning video podcast, Hustle & Heart TV, became a certified life and business coach, published a book, and launched a successful speaking career. Q: Let’s get right in and talk about your breakthrough formula to find out how to gain visibility as a recognized expert in a crowded marketplace. What are a few of your secrets? A: I really believe that visibility has first to do with you truly understanding who you are and how you serve people in the world, what your product or service intent is, but most importantly, the message that you bring to your end client or consumer. The more clear you are about that, the more focus you have on that, the better you can connect with your ideal clients and customers. If you’re a writer and an author, and obviously you’ve written a book and you want some more visibility around it, I think the biggest key to doing that is to allow yourself to be authentic and true in expressing who you are. Whether you’re going to schedule to be on interview, be a guest on a podcast like this, or perhaps create online videos to showcase through Facebook or Periscope or creating a YouTube channel or even a video podcast, your audience is going to better connect with you when you show up more fully and more authentically. For more information or to schedule your FREE Clarity Consultation with Darieth Chisolm to KICK your FEAR in the face, become more VIABLE, and increase your INFLUENCE, INCOME, & VISIBILITY without going broke and wasting endless hours”figuring it out” on your OWN.